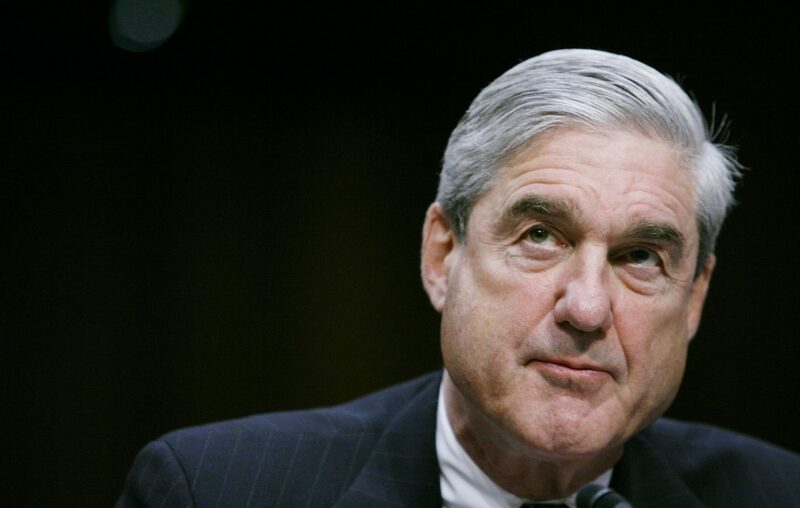 WASHINGTON – The long-awaited special counsel report is complete, 675 days after Robert Mueller was named to oversee the investigation into Russia’s election interference, whether any Trump associates coordinated with that plot and whether President Donald Trump tried to obstruct justice. Attorney General William Barr has the document. But it has yet to be made public, and the path to its potential release – or the release of the facts it contains – is complicated. That remains to be seen. Some information is expected to come out because Barr has to update Congress, but that does not mean the entire report will be public. Barr must notify the leaders of Congress’ judiciary committees that the special counsel investigation is completed and explain whether he or his predecessors overseeing it opposed any significant step that Mueller sought to take, according to the regulation he was appointed under. The regulation set no time frame or deadline for when Barr must tell Congress. Nor was Barr required to tell lawmakers more than those basic facts. He would be operating within the regulation if he were to give Congress a bare-bones notification that Mueller had concluded his work. According to the Justice Department’s explanation of the regulation, published in the Federal Register in 1999, Barr has to determine whether releasing the report, or portions of it, is in the public’s interest. Barr has said repeatedly that he would release as much as he could from the report within the parameters of the special counsel regulations. First, Barr and his aides will have to review the report to determine whether any information is classified or otherwise sensitive, or protected by privacy laws or executive privilege, which can be invoked for sensitive law enforcement materials. The back and forth on what information Congress can and cannot have will most likely have to be resolved by a court. Will Congress be fine with a bare-bones report? Sen. Dianne Feinstein of California, the top Democrat on the Senate Judiciary Committee, has already called for the entire report, without redactions, to be provided to lawmakers. “Regulations governing special counsel Mueller’s investigation do not prohibit Attorney General Barr from disclosing Mueller’s final report and investigative materials to Congress,” Feinstein said in February. And the House overwhelmingly passed a resolution calling for the report to be made public – a largely symbolic move to publicly pressure Barr to release it. “Congress could be the only institution currently situated to act on evidence of the president’s misconduct,” the chairmen of several House committees wrote in a Feb. 22 letter to Barr. Speaker Nancy Pelosi of California has said that she does not support impeaching Trump without support from Republican lawmakers because it is too divisive for the country. Barring new shocking revelations about Trump, Democrats would prefer to beat Trump in the 2020 presidential election. What if the administration refuses requests from Congress? They can start issuing subpoenas to Barr, who can ignore them or refuse them. They can also subpoena Mueller’s testimony. The Justice Department is likely to resist those demands. If that happens, lawmakers could hold them in contempt and ask the U.S. attorney for the District of Columbia to prosecute. Lawmakers could also sue to try to force the Trump administration to hand over the requested material. Such litigation could go on for years. Lawmakers can also use their bully pulpits to publicly pressure Barr for more information and tie up the Justice Department in hearings and subpoena fights that last for the rest of Trump’s time in office. Will Trump see the Mueller report? Trump is Barr’s boss, and there is nothing to stop Barr from immediately sharing the report with the White House, Pildes said. But doing so would violate the Justice Department’s long-standing independence from the White House, said Jack L. Goldsmith, a Harvard Law professor who ran the department’s Office of Legal Counsel during the George W. Bush administration. Trump, as president, would be permitted to see it in certain circumstances. In another Justice Department legal opinion, written in 2000, the president may have access to grand jury material if it is used as part of his consideration for a pardon. There has been a great deal of discussion about whether Trump would give presidential pardons to his former aides who have been charged in Mueller’s investigation, such as Paul Manafort, his former campaign chairman who was sentenced to 7 1/2 years in prison in two cases. What if Trump reads the report and tweets inaccuracies about it? Even if Mueller and Barr know that what Trump is saying publicly is not true, there is no apparent legal duty for the Justice Department to correct the president. Will the report be the final word on “collusion”? First, collusion has no legal definition, though it has become a term of art as a shorthand reference to the Russia investigation. A key question in the special counsel investigation concerns whether Trump or his campaign was coordinating with Russia to try to affect the outcome of the 2016 presidential election. If Mueller’s investigation ends without charging Trump or his aides with conspiracy, some may interpret that to be a “no collusion” finding. Trump consistently cites government officials and the lack of collusion charges as evidence that there was never collusion between his campaign and Russia.